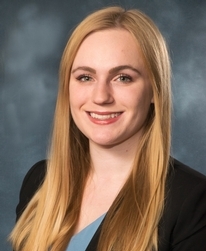 Krista earned her Juris Doctor from Chicago-Kent College of Law in 2018, where she was a member of the Trial Advocacy Team, the Treasurer of the Corporate Law Society, and earned a Public Interest Award for 123 hours of service. She graduated from Northern Illinois University in 2014 with a Bachelor of Arts in History and Political Science with an emphasis in Public Law. Krista was admitted to the Illinois bar in 2018. Krista is a litigation associate at Lipe Lyons who focuses her practice on the defense of commercial, construction, premises liability, and transportation claims. Before joining Lipe Lyons, Krista worked for the Cook County Public Defender's Office, where she tried nine cases to verdict, including four jury trials. In law school she was a member of the Trial Advocacy Team, the Treasurer of the Corporate Law Society, and a Vice Justice of Phi Alpha Delta, the largest co-ed professional law fraternity in the United States.